The Breast Cancer Awareness Month is an International health campaign to promote awareness about the prevention, diagnosis and treatment of breast cancer. The Breast Cancer Awareness Month is an International health campaign to promote awareness about the prevention, diagnosis and treatment of breast cancer. It is commemorated every year in the month of October. It was founded in 1985 as a partnership between the American Cancer Society and the pharmaceutical division of Imperial Chemical Industries. 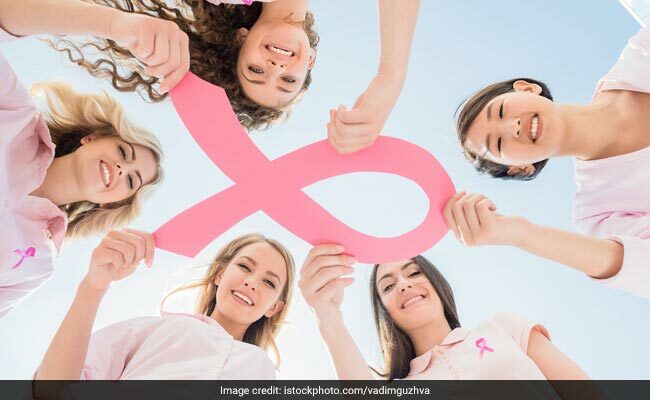 Every year, there are many activities and workshops organised all across the world to offer more information about breast cancer and also support those who are suffering from it. Your diet and the food you eat every day offer many healing properties. Dr. Sakshi Kakkar, Dietician at Paras Bliss, suggests that the following foods may help in reducing the risk of breast cancer as backed by scientific studies. 1. Turmeric: The beautiful spice that is known to add a bright hue to your dishes is also known for its anti-cancer properties. Laboratory studies have revealed that turmeric contains an active ingredient called curcumin that could play a role in fighting breast cancer tumours. It also may have a powerful anti-inflammatory effect that could protect your overall health. 2. Broccoli: Broccoli has gained a lot of attention as a breast cancer prevention food. Many scientific studies have shown that it may have the potential for blocking the growth of tumours. Other cruciferous vegetables like cauliflower, cabbage, Brussels sprouts, and kale may also have similar positive effects. 3. Flaxseeds: The lingams present in flaxseeds may help in decreasing cancer growth. It is best to soak them before consuming them to derive all their nutrients easily. You can have them as a part of a trail mix with nuts and dry fruits or sprinkle them on your breakfast cereal or blend them into your smoothies. 4. Garlic: Garlic contains several compounds like contains arginine, oligosaccharides, flavonoids, and selenium that may be beneficial to health. The World Health Organisation suggests that you should have a daily dose of 1 clove of garlic for general health maintenance. A particular compound called allicin present in garlic may offer anti-cancer effects by fighting free radials and activating enzymes that weaken carcinogens. 5. Apples: So, it is probably true that an apple a day can keep the doctor away. In some studies, apples have shown to reduce the size of mammary tumors in rats and also induce breast cancer cell apoptosis. Scientists all over the world are still researching and trying to find definitive answers regarding the development and treatment of cancer. While these foods have shown some promise, more studies are still required to validate the same. Nevertheless, these are all good ingredients to add to your daily diet to maintain overall health and well-being.